1 playbill ; 5 pgs., b&w, includes cover, cast, bio on Donald Kvares, subscription information, staff and season chronology ; 14 in. x 7 in. 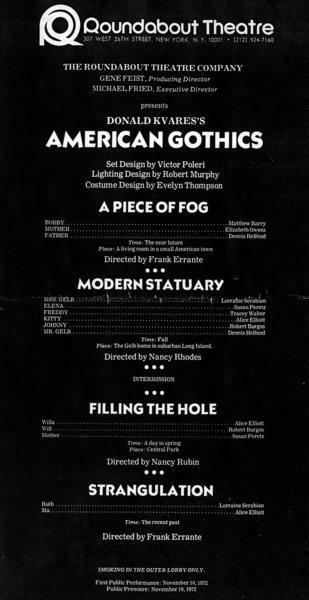 American Gothics is comprised of A Piece of Fog, Filling in the Hole, and Strangulation.